Welcome to the EDGE Middle School Youth Ministry! 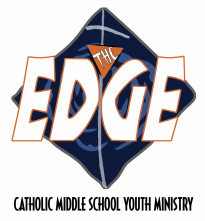 The EDGE is a Catholic middle school youth ministry experience created for early adolescents in grades six, seven and eight. The EDGE is designed to meet the educational, spiritual, emotional, and social needs of young adolescents. Kids are always welcomed and encouraged to bring their friends to The EDGE. Students in grades 6, 7 and 8 will participate in the EDGE program which will meet on Monday nights from 6:30 to 8:00 pm. 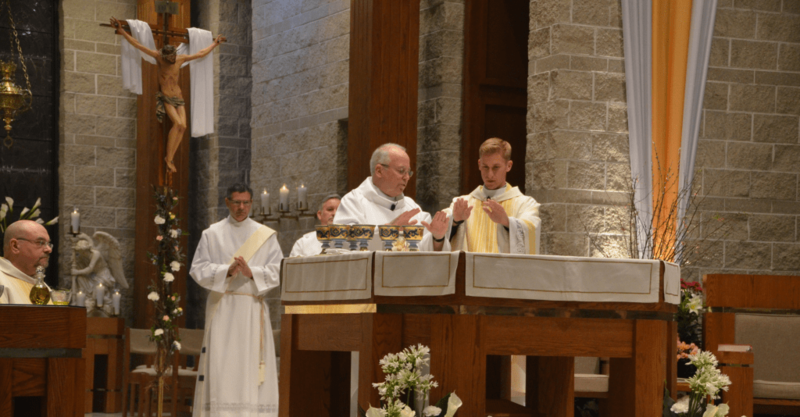 in the Parish Life Center. Topics will be presented to educate about the Christian Catholic faith and challenge the student to grow in a relationship with Christ. Social, Spiritual and Service activities for Junior Highers…. Service – Honor Flight cards & banners – Jan. 31 in room 211 youth center. Roller Skating – Feb. 24 (SUNDAY). Students in grades 6-8 are asked to attend a retreat each year. Two time choices will be offered for both 6th grade EDGE students and 7th/8th grade EDGE students. Topic: Self Esteem; Saturday 8:45-11:45 AM OR 12:45-3:45 PM; Parish Life Center-Multi Purpose Room. Topic: Discipleship and Service; Saturday 8:45-11:45 AM OR 12:45-3:45 PM; Parish Life Center-Multi Purpose Room. GET INFO & PERMISSION FORM ABOVE. Students are expected to attend one retreat each year. Students can attend the morning or afternoon session. A permission form is required and should indicate which retreat the student will be attending. Parents are needed to help chaperone. Students should bring a snack to share (i.e. cookies, brownies, chips, fruit, etc.) Please contact the Youth Ministry Office for more details. Serve as a Peer Mentor and assist adult leaders in a small group. (whether you are a parent, grandparent or parishioner): Group leaders at 6th, 7th and 8th grade levels, Help with Hospitality, Office, Hall monitor and Parking lot. We need so many to help, and if many do, there will not be a huge time commitment. If you have questions or would like to get involved, please contact Candy Rice at CandyR@olmercy.com or (331)707-5376. Please prayerfully think about this…our teens need YOU.